Yukon RCMP say they're preparing for marijuana legalization, which include efforts to prevent impaired driving. With or without THC roadside testing devices, the Yukon government says it's preparing to catch high drivers. Canadian provinces and territories are currently negotiating with the federal government to get roadside cannabis testing devices, but it's not yet clear what Yukon will get. As well, the timeline for when they will start to be used in the territory is unclear. The devices are used to detect THC, the primary psychoactive found in marijuana. Al Lucier, Yukon's assistant deputy minister of justice, says the federal government is funding the devices and related training for RCMP officers over a period of five years. "When we will see the devices here, I can't give you that date just yet," he said. Staff Sgt. Jane Boissonneault with the Yukon RCMP says the devices would be "nice-to-have," but aren't essential for catching impaired drivers. "For the most part there won't be any change," said Boissonneault. "Right now it's illegal to drive while impaired by alcohol or a drug, and it will remain so once cannabis is legal." 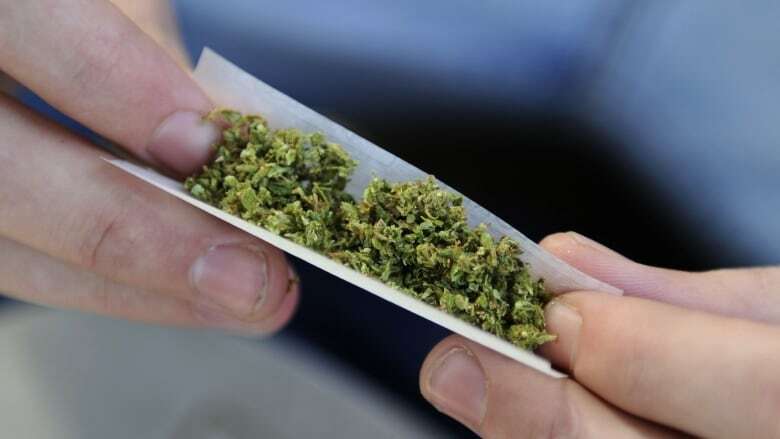 For now, police in Yukon will continue to perform the Standardized Field Sobriety Test, a series of tests on cognitive and motor skills designed to flag any impairment, not just from cannabis use. A police officer conducting a checkstop. Yukon RCMP will continue to use the Standardized Field Sobriety Test. People who fail the sobriety test are taken to a police station where they are subject to further testing. That may include pupil, blood pressure, temperature and urine tests, as well as an interview. 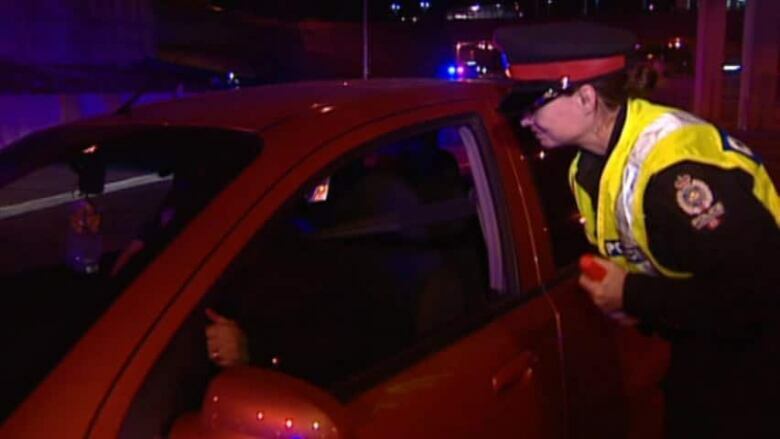 Refusing testing amounts to a criminal offence — the same as refusing a breathalyzer test if one is suspected of alcohol impairment. Boissonneault says officers will continue to crack down on illegal marijuana sales, though it will be hard to prove if marijuana was obtained illegally, given that people can grow it at home. "It's like liquor, it has to be sealed and away from any occupants of the vehicle."